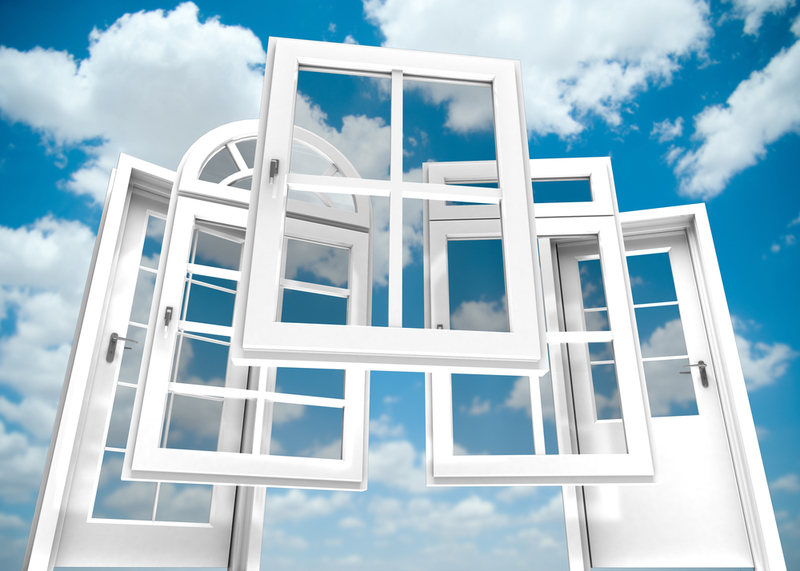 Replacing Your Current Windows – Is It Worth It? That’s a significant chunk, but there’s some good news – you can quickly remedy the situation by replacing your current windows with more energy-efficient models. The best energy-efficient windows reduce energy loss without compromising the look of your home. Here are just a few ways you can benefit from this investment. In 2013, the average annual energy bill in the United States was $2,060, with 42 percent going toward heating and cooling.2 Installing brand-new energy-efficient windows can decrease the amount of money you have to spend on that portion of your energy bill. 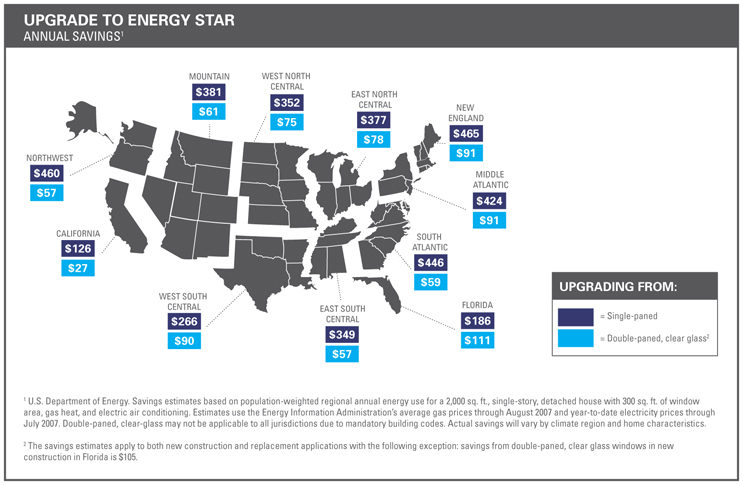 According to the ENERGY STAR® City Savings Estimates, Denver area residents can save $257 annually by replacing their single-pane clear windows, or $91 by replacing their double-pane clear windows, with more energy-efficient models.3 Those savings will quickly add up over the years. Is the area by your windows drafty in the winter and unbearably hot in the summer? There’s a chance your window is not sealed correctly or weatherproofed, which allows air to leak between the interior of your house and the outdoors. Energy-efficient windows, especially when experienced replacement window professionals properly seal them, can keep your home comfortable no matter the season. A high-quality frame – Some materials like fiberglass and insulated vinyl outperform others like metal and wood regarding insulation and maintenance. The way the window opens – A window that’s fixed or hinged loses less energy than one that slides horizontally or vertically. Insulated glass – Double-pane and triple-pane windows have gaps of air or gas, between the panes, that reduces heat transfer. Gas – Manufacturers sometimes include a thin layer of argon or krypton gas between panes to reduce heat gain and loss. As you’re shopping, you’ll want to check the window’s ENERGY STAR® certification as well as the label provided by the National Fenestration Rating Council® (NFRC). These two organizations are the authorities when it comes to window energy efficiency. You can easily find your zone with this Zone Finder tool. For example, Arapahoe County in Colorado falls within the Northern Zone, so look for the Energy-Star certified windows for that zone or the whole country. U-factor – The amount of heat that escapes your window. You want this number to be low, especially in states with cold winters, so the heat stays indoors. Solar heat gain coefficient (SHGC) – The amount of heat that enters your house via sunlight. A low SHGC is preferrable in hot climates, and vice versa. Visible transmittance (VT) – The amount of sunlight a window lets into your home. The desired rating depends on how bright you want your home to be. Air leakage – The amount of air that escapes through gaps in the window. You want a low air leakage rating. So, Are Energy Efficient Windows worth the investment? If you’re interested in more information about energy efficient windows, call us at (303) 794-0490 to schedule your consultation!